How to choose a Mini CPAP Machine for Travel? CPAP (Continuous Positive Airway Pressure) is the most preferred form of treatment for those individuals who suffer from obstructive sleep apnea (OSA). It is also useful for people who have already tried all other treatments for their snoring but without any positive result. If you are a frequent traveler, whether for business or for enjoying your vacation you surely don’t want this apnea issue to come between you and all your adventures. The modern markets are flooded with different kinds of CPAP machines. 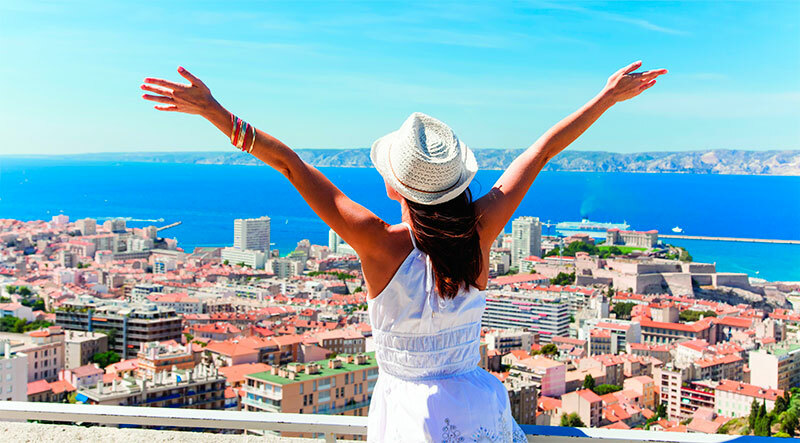 If you love traveling, you may want to find the best portable CPAP machine. 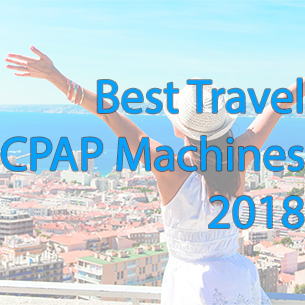 One of the most common question people ask is “Which is the best Travel CPAP Machine”? To answer your queries, we have come up with the top 5 mini CPAP machines. CPAP Only Size 5.8" x 5" x 3.9" N/A 6.1" x 3.5" x 2.8" 6.48" X 3.30" X 2.02"
The XT Fit CPAP Machine is one of the most budget friendly mini CPAP’s on the market. The small size makes it ideal for travelling. It delivers the same effective treatment as the larger machines. Its palm size (5.7in x 5.1in x 3.9in) design makes it easy to be packed in luggage. 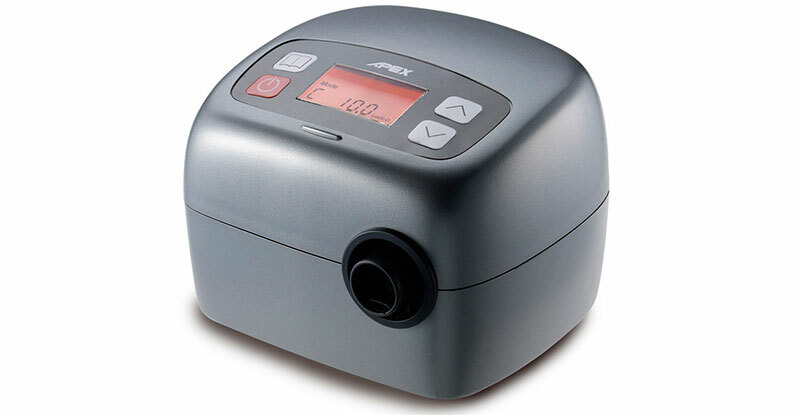 The XT Fit CPAP comes from the great makers Apex Medical. It includes useful features like; automatic altitude adjustment, easy to adjust ramp settings, enhanced pressure stability and its highly advanced algorithm makes it even more user-friendly. The introduction of PVA pressure relief function has taken the next generation XT series to a whole new level. For more comfortable therapy you can add the XT heated humidifier. The humidifier can counteract the irritation caused by cold and dry air. The XT fit is powered by a simple chord that plugs into the back of the machine and connected to an AC outlet. So, you won’t need to carry any bulky power supply. Overall, it is a great CPAP machine for travel. The ResMed AirSense 10 AutoSet CPAP offers you a combination of small and elegant design, supreme features & effective therapy to give you unparalleled comfort. It pinpoints the amount of pressure you require through its advanced algorithm and adjusts the pressure according to your real time needs. 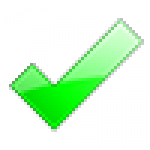 The AutoSet 10 also has a special version named AutoSet for her, which particularly deals with the breathing problems found in women. AutoSet for her is a white colored device with an Ivy leaf pattern. Being one of the lightest portable CPAP Machines on the market it is very popular among frequent travelers. You can add an optional Climate Line Air heated tube with its built in Humidifier to adjust the humidity in different atmospheric conditions. Its highly advanced Expiratory Pressure Relief technology calculates and adjusts the amount of pressure delivered during inhalation and exhalation. The machine has a crystal clear, colored LCD display, integrated light sensor and easy to read menus. Although it is at the costlier end of the price list, it guarantees you 100% satisfaction. So, if you are not on a budget, then the ResMed AirSense 10 AutoSet CPAP is probably the best travel CPAP machine. PR System One 60 Series Auto with Bluetooth is more intelligent and flexible than any other previous models of its kind. It is accompanied by a host of advanced features and innovative technologies which will enhance your overall therapy experience. It is capable of adjusting its pressure on a breath by breath basis while you are sleeping. It comes with a Bluetooth module built inside. With this Bluetooth you can transmit data between your mobile device and the portable CPAP machine by simply downloading the free mobile app named “SleepMapper” available for both iOS and Android operating systems. It provides feedback on your Apnea Hypopnea Index (AHI), mask fit and your therapy usage. 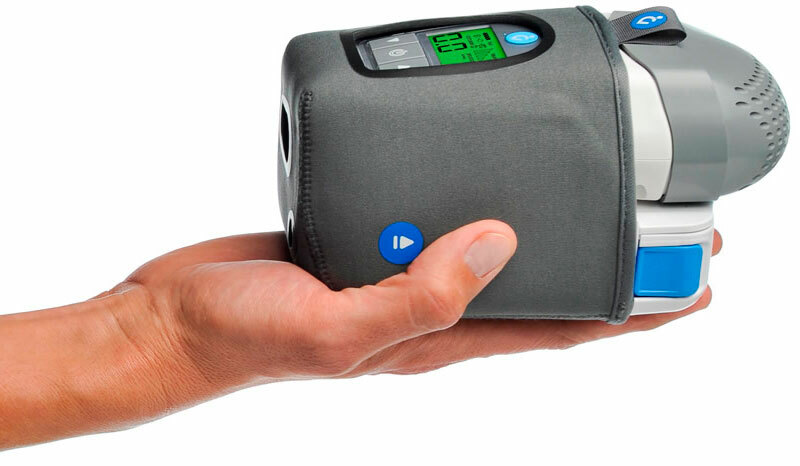 With its Auto titrating function this portable CPAP Machine can effectively adjust the pressure according to your requirement throughout the night and supply the minimum pressure needed to keep your airway open. For a better performance you can add an additional heated tube humidifier. If you are looking for a device that will give you great performance without overstretching your budget, then you can try out the 60 Series Auto with Bluetooth. 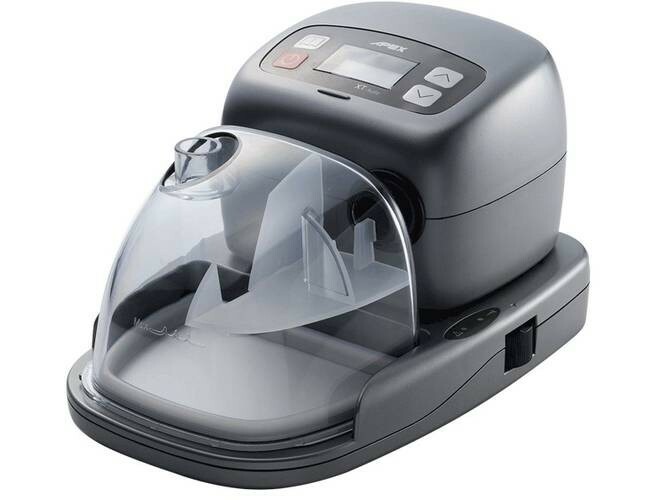 APEX XT Auto CPAP with humidifier is one of the best travel CPAP machines. It is an auto- adjusting CPAP with a palm size design and especially easy to carry for travelers. Its internal power supply makes it easy to pack and setup. It will provide you with enhanced facilities like easy ramp settings, leak compensation, automatic altitude adjustment and data collection by SD card. Now with the clinically proven advanced algorithm the new XT Auto is even more user-friendly. The XT heated humidifier integrated with the XT auto mini CPAP machine has 6 different heating levels to impart the most optimal level of humidification according to your requirements. It has an ultra quiet motor which will allow you to sleep in peace at night. Many of the users who are frequent travelers have highly recommended this portable CPAP Machine. The Transcend Mini CPAP Auto is the first Auto-adjusting mini CPAP model manufactured by Somnetics in the very popular Transcend queue of machines. The device offers you unbelievable features at a surprisingly low cost. Its palm size design makes it ideal for travel and for regular use at home. 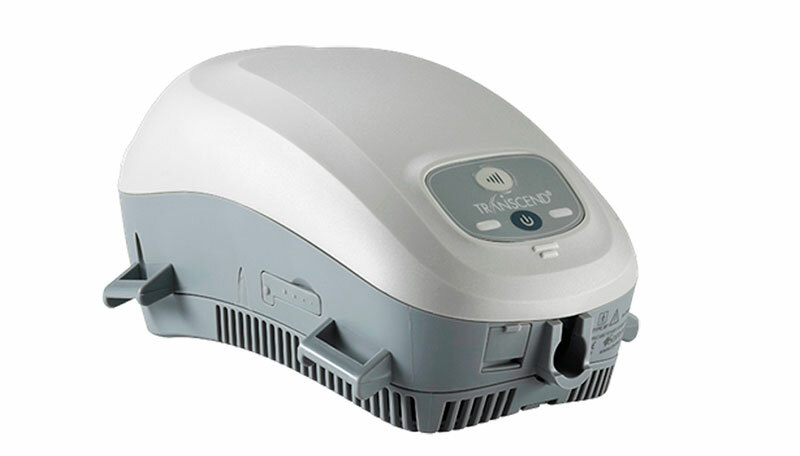 The Transcend Auto is a fully featured auto titrating CPAP. With its EZEX pressure relief technology, this portable CPAP Machine offers pressure relief on exhalation. The Unique air bearing blower makes Transcend EZEX ultra quite and vibration-free. Keeping travel in mind, the Transcend Auto provides you with a power supply with international adapters for use in different countries. Addition of an optional Multi-night battery will assure you a restful night of sleep anywhere on the globe. The travel CPAP device holds up to 13 months of data that includes; minimum therapy pressure, maximum therapy pressure, leak detection, AHI, etc. The elegant small design and all the advanced features take the Transcend Auto to the 2nd place on our list of top 5 portable CPAP machines. How small and lightweight is the Z1 CPAP Machine? Very! At just 6 1/2 inches long and weighing only 10 ounces, it is the lightest CPAP machine available in the United States of America today. There are many features that make the Z1 Travel CPAP Machine so effective. Data recording capability, quiet operation, and the optional integrated Powershell with battery also makes the Z1 versatile and portable for use at home and makes it one of the best portable cpap machine for travel. It is sure to give the more expensive machines a run their money! Mini CPAP is the acronym for Continues Positive Airway Pressure. This device, is used to treat sleep apnea and for patients who are critically ill in hospitals, new born babies, and for individuals who suffer difficulty in breathing. The PAP system was developed in 1981 by Colin Sulvvivan at royal prince Alfred hospital in Sydney Australia. The Mini CPAP machine usually comes with a mask amongst other devices that is worn on your nose and mouth or just the nose. Mini CPAP are smaller than the conventional CPAP machines, they enhance light weight portability. They are standard CPAP 6-foot tubing, universal mask adapter and ac power supply. They also come with battery packs, D.C power converters and with several adapters to enable users use them or charge them once there is an electric outlet (in some cases, some adapters can be used with vehicle cigarette lighters). Others can be worn literarily as a hat or an accessory some can be charged in airplanes that have built outlets on their seats. Their small feature makes them easy to pack and use while on board long flights. They also have rechargeable battery pack that can be charged during the day and used at night. It has multiple charging adapters making charging a lot easier. Some adapters can be plugged into a cars cigarette lighter and others can connect to solar chargers. Power supply this is a concern because in order to use your device, you must find a way to power your portable CPAP. Recharging can be a serious issue if you are totally off the grid without a source of electricity or the solar charger accessory. Recharging on air planes has become a major issue, many users have reported that the charging unit easily falls off the seat outlets this may be because the charging unit is too heavy or, the outlet has been over used. 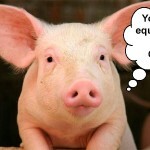 Some users have discovered that the “feel of air” in a Mini CPAP is different from that in the CPAP. Some settings in the Mini CPAP may require a little bit of tweaking. Some users have issues with the design of some Mini CPAPs, they find it difficult, to locate the On/Off button. They also complain that some are loud. Mini CPAPS are generally more expensive than regular CPAPs. Though, the price varies based on product. The first condition is you understand your life style, what makes you comfortable, what features you would like your mini CPAP to have as this will play a significant role. In choosing the perfect Mini CPAP device, you must put into consideration your finances. You must be able to understand the best quality you can afford. Mini CPAPs are produced by different companies so they do not all have the same price; some are cheaper than others. How would your Mini CPAP bee used? If you live in places with frequent power supply, and just need it as a backup, it wouldn’t be necessary to get accessories to go along with it. Elegance if you want to keep your condition to a limited number of people, you can purchase Mini CPAPs would be easily mistaken as a modern or advanced tech alarm clock. Understanding your needs; some portable CPAPs, have features that might irritate some users such as thee humidifying technology used the pressure of air flow and user interface. If your travels are done by the day, and you sleep at night, you would get Mini CPAPs that come with accessories such as all-in-one chargers. Some of these chargers can be plugged to a cars cigarette lighter so you don’t have to struggle to find a power source. Flying with Mini CPAP if carefully planned, would not be difficult in any way. Before deciding to fly with mini CPAP, it is advised that the user goes through and understands the rules and requirements of the airline you wish to use, to get an idea of what accessories you should take. Some airlines have power outlets on board, while others don’t, so that you would know the type of adapter to be carried, if you would need extra cable or if you should take a battery pack. Since Mini CPAP is a medical device, it can be carried on your person and not be bothered about extra carry on items. If you wish to put your portable CPAP in your luggage, it is advised that you put it in a plastic bag so that when your things are going through inspection it will not come in contact with unsanitary places such as the x-ray. I have a XT Fit CPAP and I don’t need anything else. It’s got everything you’ll ever need and I think this is the best travel cpap. I have used it at least 15 times by now and it makes my travels very pleasant and peaceful. It has a great price (unexpectedly cheap if you ask me) but that doesn’t mean that it’s less effective than other models. My personal experience has shown that this can outrank higher priced models. I also found that this is a great CPAP machine for travelling. My last one was not nearly as good and I don’t know why I waited so long to test this one from XT Fit. The price is very good for what it can do; actually the low price is probably why there aren’t more people buying this – they think that just because it’s cheap, it’s not good. As I’m a frequent traveler and also suffer from obstructive sleep apnea, I feel that the Apex XT auto CPAP seems to be the best choice. I’ve been looking for a good travel cpap for a while now and I’ve actually bought two but I wasn’t happy with them and had to send them back. One was too uncomfortable and the other didn’t work and after seeing it I decided I didn’t want a replacement. I’m hoping this will be the one I need. I do wonder how reliable the 60 Series Auto Bluetooth is. I like the idea behind it though. I am looking into my options here because I do travel for work. One week of the month I am away from home and I don’t want to have to lug around my full size machine and risk it being damaged in the airport. The size of the Z1 Travel CPAP Machine has me intrigued. I am going to look at that one more. The absolute best mini cpap on the market right now is the one from ResMed, you get the most bang for your buck. My daughter-in-law got it for me and I was a bit skeptical at first, I didn’t expect it to cover all my needs but it works like a charm. Had one. Way too noisy in the mask area and kept waking me up so sold it. 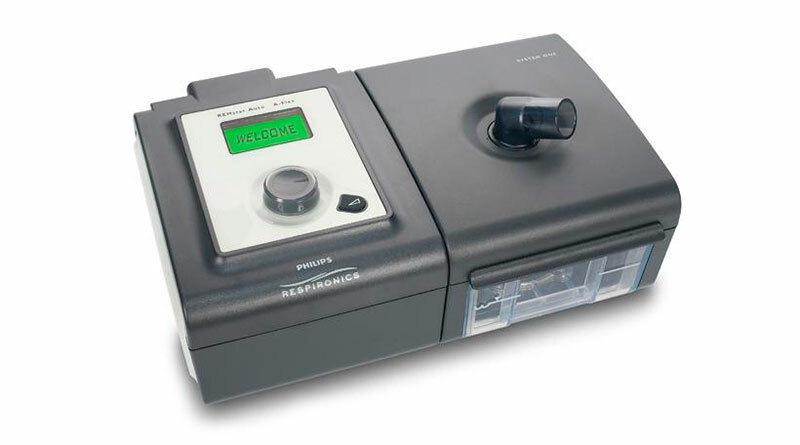 Resmed have a high rate of return on the airmini due to noise. While I agree that the ResMed might seem a little noisy to some people, I’m not in that category. I can sleep like a bear when wearing it and I feel well rested when I wake up. I think it’s well worth it. I need a portable CPAP that is decently price and easy to carry around. I don’t have insurance so I have to cover all the expenses myself. My bedroom has almost 300 square foot so I don’t know which humidifier to choose so it’s strong enough to cover the whole bedroom. The humidifier just humidifies the air going thru the hose and mask, not the bedroom. Room size is irrelevant. ResMed AirSense 10 AutoSet CPAP is the only travel cpap with humidifier I’ve used so I don’t have something to compare it with but I’m more than happy with mine. The set-up was a breeze and the humidifier works like a charm, very glad I went for this model. Plus one for this model. Its what I use. Down side is its very power hungry if you are running off battery power (camping etc) thats important. I agree with Mike, this is power hungry but it is a great machine. If you want to go camping this might not be the model to get for the job. But for the home this is a very good Cpap machine. XT-FitCPAP is definitely the best portable cpap machine imho. I’ve used it for some time now and it made travelling so easy that I couldn’t believe it. Always do your research before buying and don’t just look at the price of such an item. Altough this has a lower price tag compared to others, it’s still of high quality. Was looking for a decent minicpap and after you mentioned how much you love your XT I took a closer look at it. I discarded it a few days ago because I didn’t think it would be good considering its price but I’m now going to give it a second go and actually buy it. Hahaha, I did the exact same thing. I can’t believe I didn’t like it (like at all) in the beginning and now I’m in love with it! To anyone not liking it, just take a second look and give it a go as you may find it very helpful and a good machine to own. The Red Med Airsense 10 was my first choice from the start (after reading about it) mainly because I’ve had a chance to try it out on loan from a friend who had just got one. It’s the right size and it works like charm. I always like to buy things with bigger warranties and this is one of the first things I look at. This meant I had 2 main choices: the EZEX one and the Z1 Auto. I ordered the EZEX one and I’m very happy with it right now. Some might disagree but the Z1 Auto travel cpap is really good. It’s all I need when I’m on the road, it has a 3 year warranty and it’s really easy to carry around. It’s not heavy and the price is just right. I like to have bigger warranties on all my products (3-5 years) because I’ve had unpleasant experiences with a few different ones. I will buy extra warranty whenever possible. Would have loved to see such a machine with a 5 year warranty. Going to go with a 3- year one but don’t know which one yet.